MJ Weber is at the museum greeting guests as she works away at the museum most days from 9-5. Please stop by to visit with her. 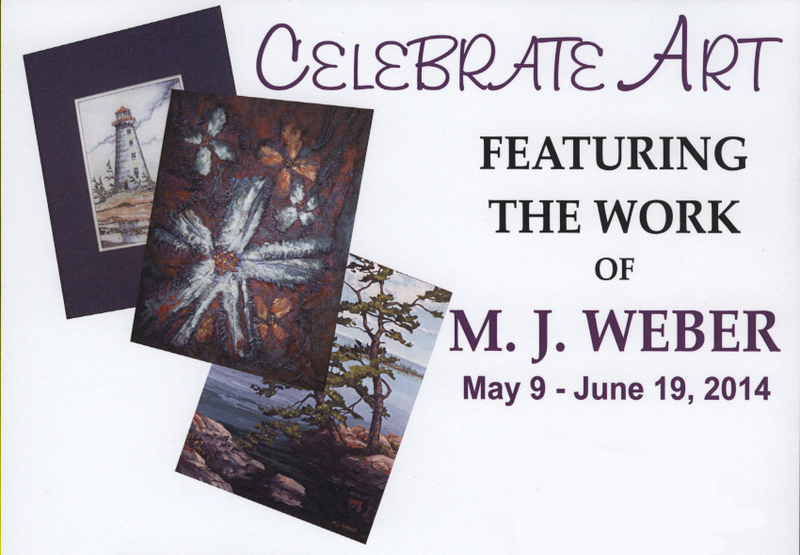 Huronia Museum is delighted to have MJ Weber join us for an exhibition of her work from May 9th to June 19th in the museum’s auditorium. The grand opening for this exhibit will be on Friday, May 9th, 2014 at 7:00 pm . Muriel-Jane “M.J.” Weber was born and raised on a farm in Aldershot, now part of Burlington, Ontario. A qualified elementary school teacher, she has taught in Puerto Rico, Miami, Burlington, Thunder Bay, Oshawa and Midland. Her art education started at the age of 13 with Walter Hickling. Later she studied in Toronto and at the Buckhorn School of Fine Art . ← 24th Annual Heritage Dinner with Guest Speaker Jack Granatstein -May 2, 2014 5:30 pm.